George Street: The new structure is a single span, pre-cast concrete girder bridge with fully integral abutments founded on steel H piles. 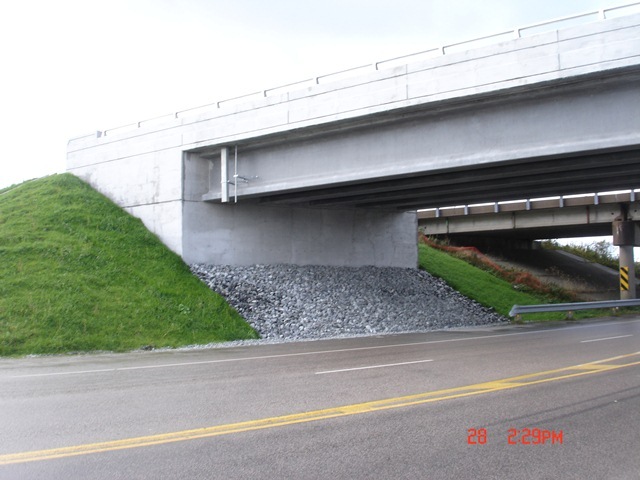 NEBT 1800 prestressed concrete girders were used to achieve a span of 35.5 m. The alignment featured a 12° skew to minimize the span. Construction was completed in 2011. 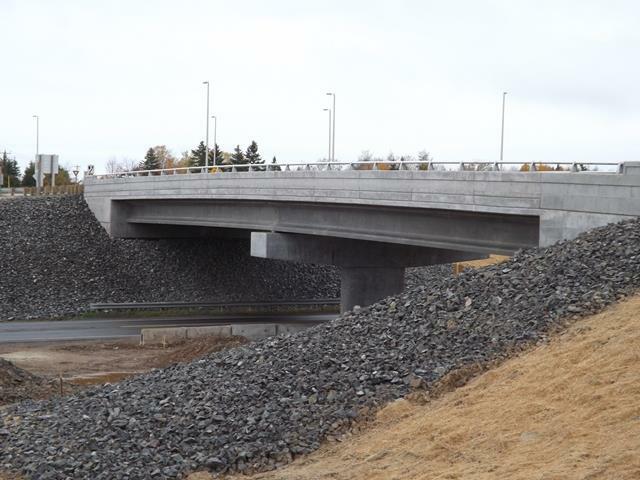 Alexandra Street: The new structure is a two span, semi-continuous, pre-cast concrete girder bridge with integral abutment design founded on steel H piles and a central hammer head style concrete pier located with the flared Jersey Barrier median. NEBT 1400 prestressed concrete girders were used to achieve the total span of 53 m (26.5 m – 26.5 m). The alignment featured horizontal curvature that was accommodated by using tangent girders and variable overhangs. Construction was completed in 2012. 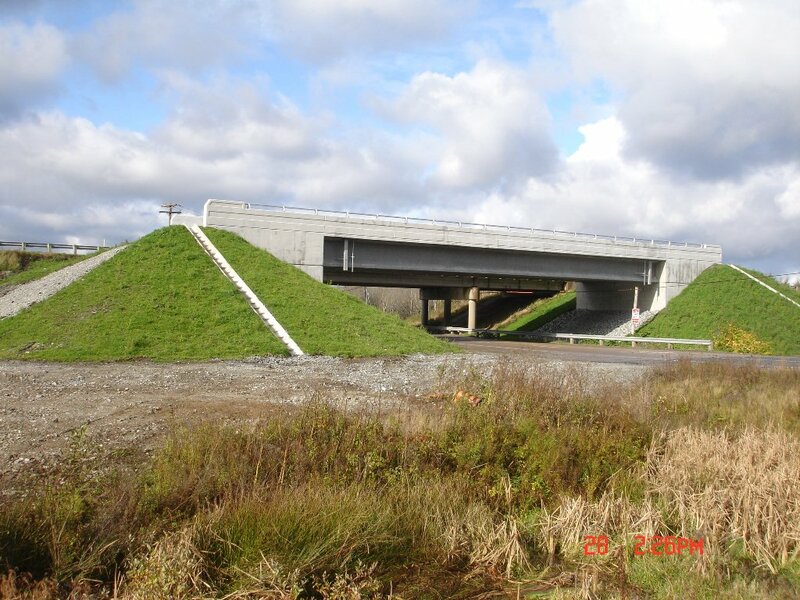 Cow Bay Road: The new underpass structure is a single 35.5 m span prestressed concrete girder structure supported on fully integral abutments founded on steel H piles driven to refusal in bedrock. To limit the single span such that prestressed concrete girders provided a practical solution, the bridge was designed on a 17° skew and MSE walls were detailed to surround each abutment. Anticipated construction in 2013.